Xi-Cheng Zhang, head of ITMO’s International Institute "Photonics and Optical Information Technology", received a prestigious award by Selby Scientific Foundation established by Australian Academy of Science. Every year this award is given for only one international scientist. The main goal of this award is to reward distinguished scientists who were invited to Australia to present open lectures and seminars that aim to promote scientific ideas. The candidates have to be both experienced researchers and wonderful lecturers. 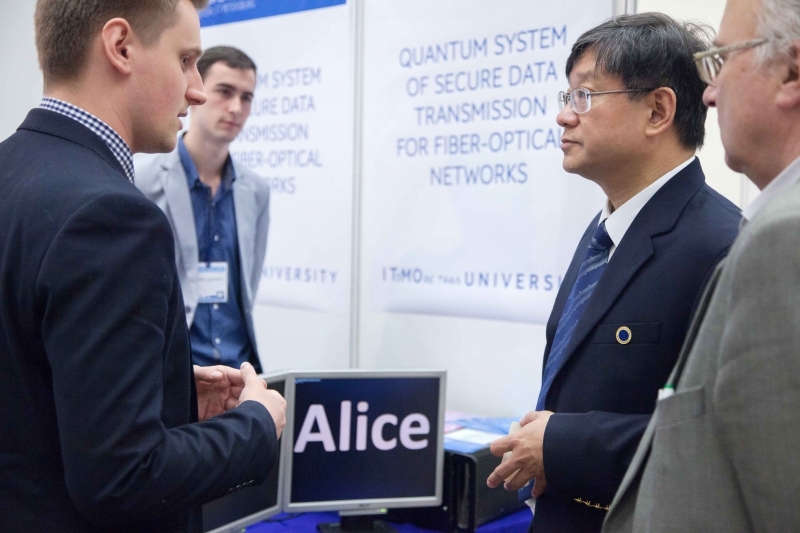 According to Sergei Kozlov, head of the International Institute "Photonics and Optical Information Technology," Xi-Cheng Zhang contributed a lot to ITMO’s development by conducting research in the field of terahertz photonics and quantum tomography, which is impossible to be improved without joint work. "Professor Zhang is head of the Institute of Optics at Rochester University. It is well known and we agree with this — Rochester is the most influential University in the USA conducting research in photonics. That is why it is very important for us that Xi-Cheng Zhang takes part in ITMO’s research activities," notes Mr. Kozlov. Xi-Cheng Zhang contributed to the development of the double degree program on optical and quantum technologies of information transfer, recording and processing [Read about the experience of Russian students who studied abroad here -Ed.]. He also was one of stakeholders of the Summer Research Camp organized for American students. The professor is one of the members of ITMO’s International Council — he participates in Council’s meetings and represents interests of the University abroad. "Thanks to this double degree program three generations of ITMO’s students have received Rochester’s diplomas," shares Mr. Kozlov. "American students take part in the Summer Camp and use the knowledge gained in Russia to create a quantum network in Rochester. In November the Journal Optics&Photonics News Journal published an article devoted to successful collaboration of Russian and American students." Xi-Cheng Zhang has 29 patents, wrote and was a second author of more than 400 scientific articles; his h-index is 78. He is executive editor of Optics journal and head of the headquarters of the Optical Society (OSA).